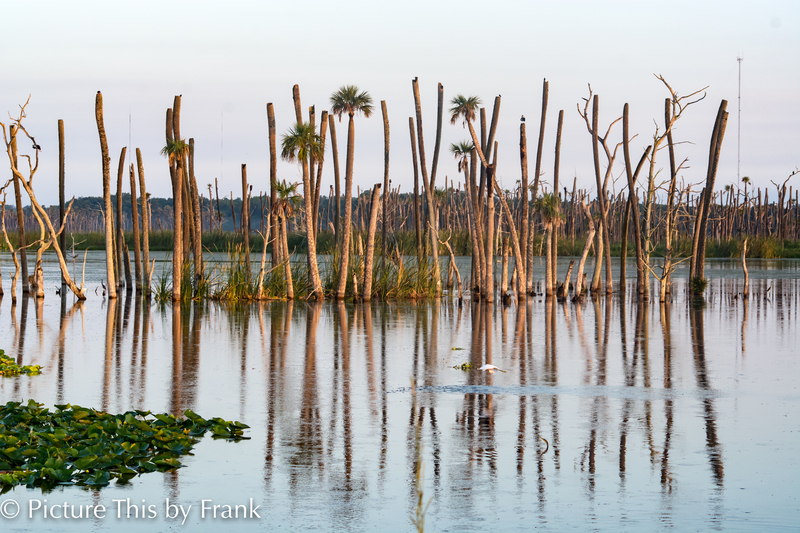 The history of Orlando Wetlands Park is wetlands turned to a cattle ranch then returned to wetlands. 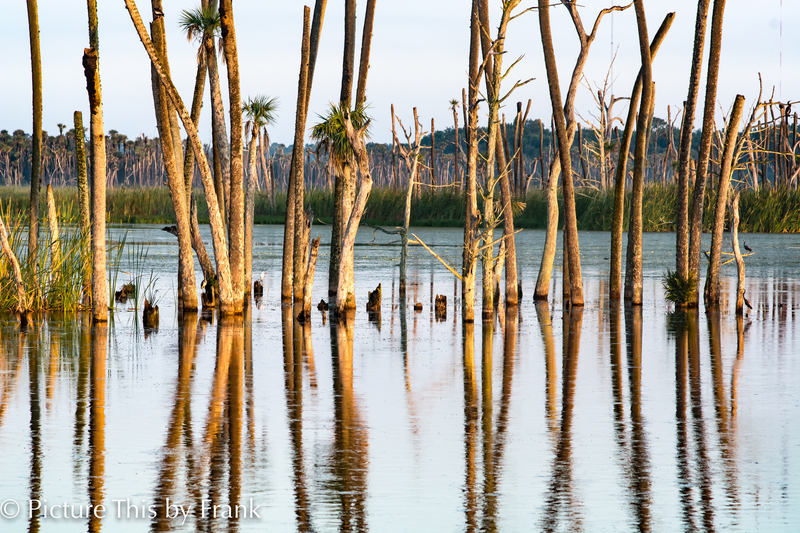 When they restored the wetlands they left the tree stands – most have died due to their roots now being underwater, Some have amazingly adapted. The dead trees referred to as snags, provide great places for birds to roost. Some days you will see a bird atop every tree.